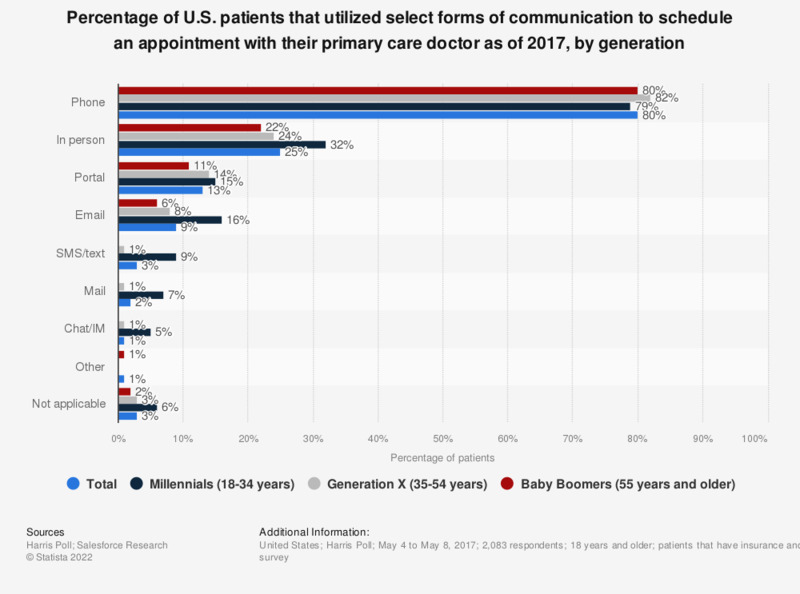 This statistic shows the percentage of U.S. insured patients with a primary care doctor that utilized select technologies to schedule medical appointments as of 2017. According to the data, in total 80 percent of patients use a phone to schedule their appointments. Original Question: "Which of the following, if any, do you use to communicate with your primary care doctor for each of the following? Set up an appointment"